What do you do when you suddenly have too many shoes because you and your boyfriend have been in London to see his family and instead of sightseeing you went shopping because the exchange rate of pound to Euro is just too good if you are from a Euro Country and everything is so cheap and the Clarks shop had an specially good sale… well, and anyways the dresser in the corridor can’t take that amount of shoes, is more than 35 years old and your parents changed your diapers on it 30 years ago and you have decided with your boyfriend that you need a new dresser and even picked one from IKEA but his working hours collide completely with your free time and normal shopping hours? This was what I faced today. Actually I don’t mind going to IKEA on my own. I’m quicker on my own which is actually quite hard on a Saturday when really everybody seems to flock to IKEA. But as I said, we had figured out what we wanted so all I needed to do was go there and get it. Well these dressers are quite heavy even if they come in two packages. But as we say in German “Selbst ist die Frau!”. It means I’m a woman and maybe not that strong, yet I can handle that on my own. And I can. I managed to get the two packages from the shelf onto the cart and this time I even got it from the cart into the car on my own. And if I hadn’t I would have just asked people on the parking lot to help me place everything in the car as I have done on other occasions. And arriving back home I just unpacked the packages and transported the pieces in several loads up the stairs. And well, anyone who has once learned to build something with Lego following an instruction can also build something from IKEA. People usually complain how difficult that is and that always something is missing. 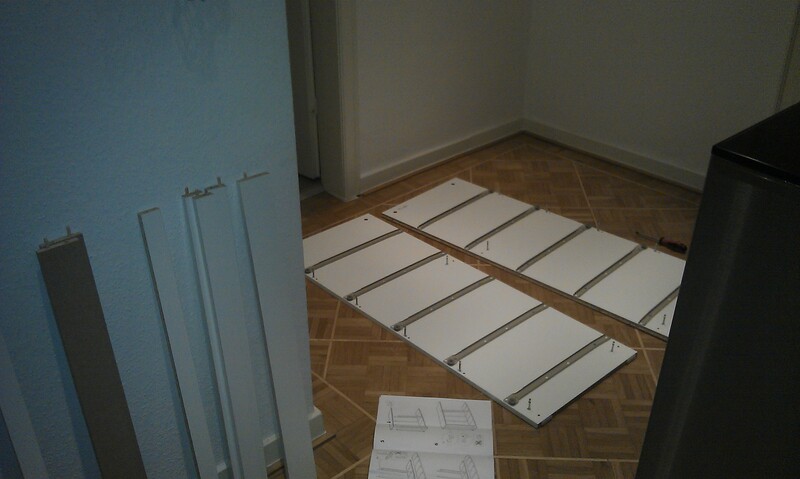 But until today when really one little piece was missing (I could do without it though) and the explanation was wrong in one point I guess (I fixed that by changing one little thing and then everything worked again), I never had any problem with IKEA. 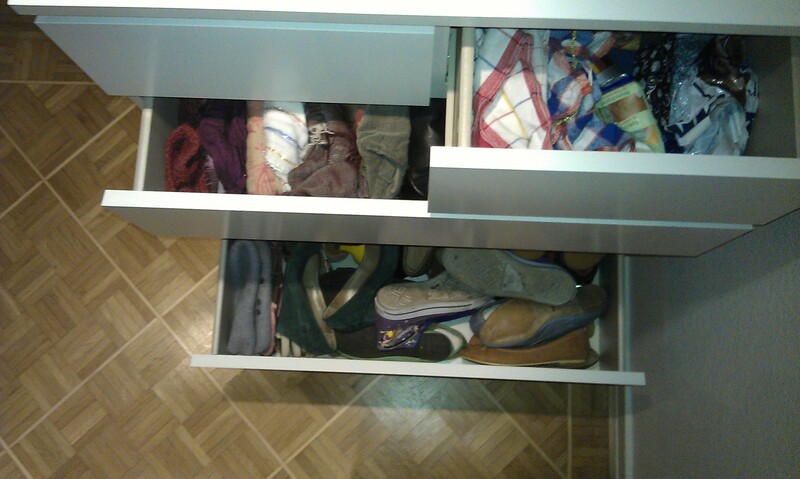 It actually took me 2 hours to build the dresser but that was also because it has 6 drawers. 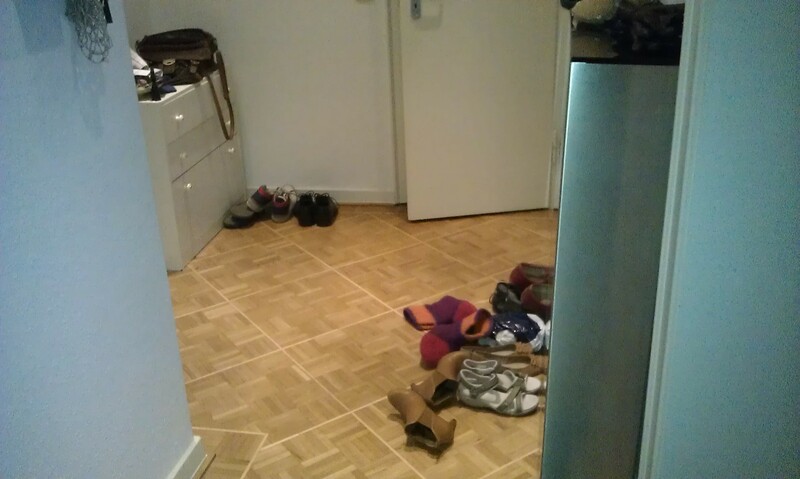 Now everything is neat again (even though I really can’t fit any more shoes) and I can finally see all my everyday bags and scarfs. I’m really happy with my work today. And tomorrow I will go on and work on my balcony. Because after my trip to IKEA I stopped at a garden center and bought the first spring flowers. But more about this tomorrow. 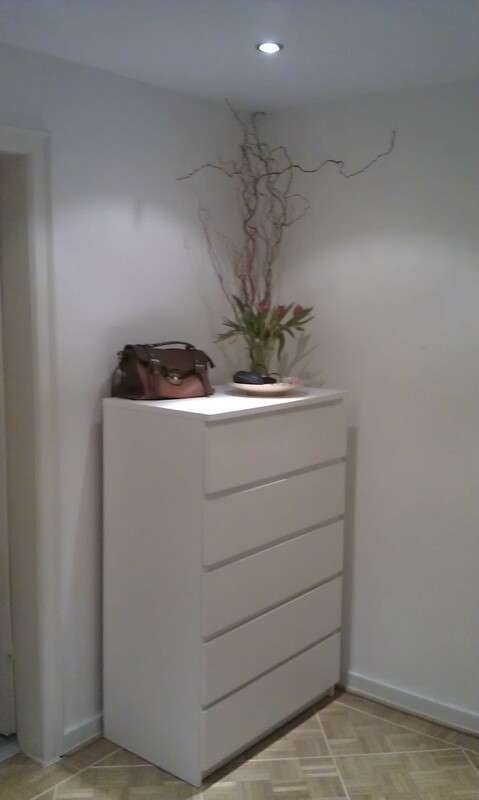 This entry was posted in Furniture and tagged IKEA by kathatravelling. Bookmark the permalink.